Current Small Business sources are becoming obsolete. # of Customers is going down. Small Business Customers are spending less per transaction and number of transactions per customer is going down. Due to competitive pressure, can’t increase the prices. Can’t shorten the delivery time. Traditional way of doing business is transforming to ONLINE. Due to lack of qualified employees, can’t expand geographically in new territories. We have obsolete Information Systems. Our product line is too narrow. Employees are not trained and educated enough. Current organization in not effective. Customers have become very demanding. Heavy discounting is not working as competition is doing the same discounting. R & D is taking too long to come up with New Products. Merger or Acquisition is not being evaluated. Organic revenue growth is nonexistent. There is a lack of urgency at the senior management level. Revenue sharing with Partners is unfair. Have no presence in Global Markets. There is no spare Manufacturing capacity …. It has maxed out. Value chain processes like shipping, communications, etc. are ineffective. Information, Communication and Internet Technologies are not being leveraged. Lack of innovations and creativity. 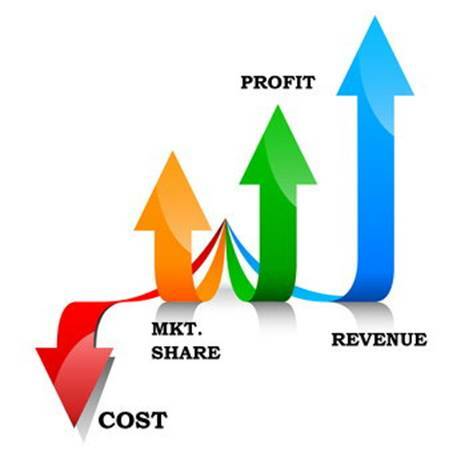 We can’t decide whether to go for higher revenue and low or no profit OR just focus on higher profit. Revenue Growth is like oxygen. Small Business needs it to live! 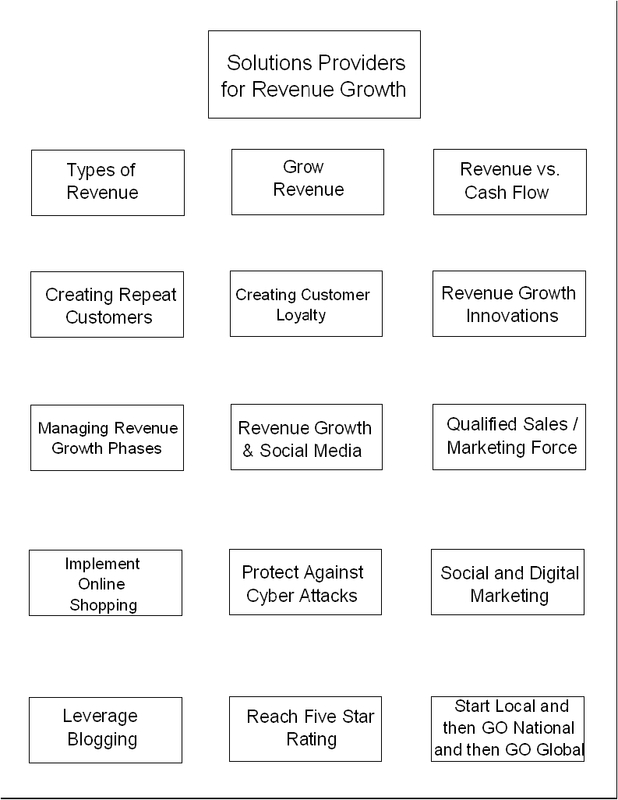 Revenue must grow over time at a desirable predetermined rate. However, we will analyze your business FIRST to determine the status of your environment. Contact Us for finding qualified Revenue Growth Solutions Providers you need in our Small Business Solutions Shopping Mall.